Even though CanLaw developed their lawyer discovery platform to battle the well-known issues of touting in the industry, the fine lines drawn by the rules of conduct could brand them as a touting platform, depending on how they eventually decide to monetise. The truth is, because of rules designed to prevent lawyers from touting, they aren’t allowed to do things like advertise or do marketing outside of very specific boundaries. But the downside to this in Malaysia is exactly what you would expect. When you, a normal layman, actually need to services of a lawyer, it’s not easy for you to discover who they are and if they’re any good. All you have are word-of-mouth testimonies, or sometimes, anyone that you can find. This is the gap that these ulats, or scalpers, take advantage of. In your time of need they emerge, offering you the services of lawyers that have them in their employ in exchange for a bit of cash. It’s with the exact purpose of fighting ulat mahkamah that the PGSM signed their exclusive agreement with CanLaw. This marks the first public chapter of CanLaw Syariah, which is a lawyer discovery platform, but specifically for syariah lawyers. The PGSM, or Persatuan Peguam Syarie Malaysia, is a collection of syariah lawyers who are still practising in syariah courts. Since the syariah courts run on a state-by-state level, the PGSM serves to unite syariah lawyers under one roof so that they can better to uphold Islamic law. They’re an NGO by nature, with a goal of shaping syariah law in Malaysia. Since Syariah lawyers aren’t bound by the same laws as civil lawyers, the team told us that CanLaw Syariah can already start monetising immediately after the launch. “It’s based on a freemium model. There will be a free version where each lawyer can come to use our platform for free, but there’s limitations. We haven’t decided on the exact limitations yet, but it relating mostly with the number of quotes they can give out in a month,” said Jo Fan of CanLaw. And if Jo Fan is to be believed, this collaboration with the PGSM came about through happenstance. “Hence, we were desperately looking to pivot. After pursuing different leads, we were fortunate enough to connect with PGSM through a mutual friend and they were right on board with us from the very beginning,” said Jo Fan. With this signing as an exclusive tech partner, the CanLaw team’s attempt at carving out a unique niche in the market could possibly bear fruit for them once the Bar Council finds a happy medium for them to make money. The team will also be working on further tech innovations with the welcoming PGSM to further modernise what many see as an archaic field, especially now that they’ve given themselves exclusive access to one branch of the law. Does this mean that CanLaw is pivoting towards syariah law? And currently, aside from their lawyer discovery platforms, they have CanLaw Report, where you can read about current legal happenings through CanLaw’s articles, or CaeLex, a tech adoption consultancy for law firms. CanLaw Syariah will see a launch in November, with an app version coming soon after. 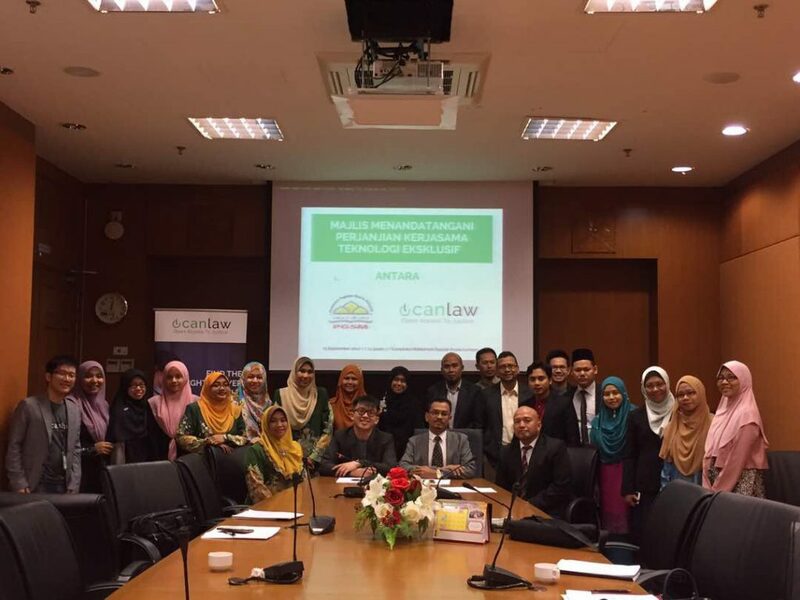 CanLaw Syariah assists the public with a searchable online directory for syariah lawyers. And the project will see a full launch in the upcoming PGSM convention in November, with a companion app for lawyers, CanLaw Syariah Pro, available soon after. 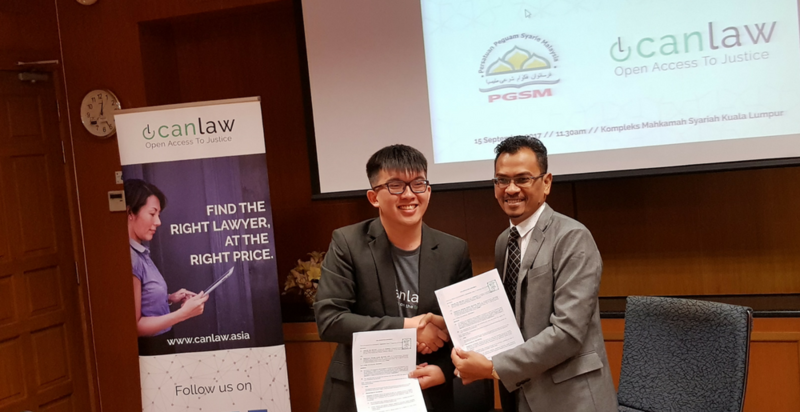 Other than that, both PGSM and CanLaw will be making movements towards the promotion of technology adoption among Malaysian syariah lawyers to truly bring the field into the 21st century. They’ll be doing this though tech adoption workshops, affordable website building services, as well as facilitating access to syariah legal knowledge through online content strategies. As for CanLaw’s monetisation in the civil courts, that’s still being debated. But if their monetisation model for CanLaw Syariah is anything to go by, we believe that their proposal would run along similar lines. Whether CanLaw will end up tweaking this model to adhere to any concerns by the Bar Council, or whether they’ll overhaul the model completely will remain to be seen. If startups are known for anything, it’s for being mobile and adaptable to circumstances. And we’ll be watching out for CanLaw in the law startup scene in Malaysia as one of the parties treading unknown territory into bringing law technology up in Malaysia.